You have just done one of the hardest things you will EVER do in life…give birth to a beautiful human being. Or gone through a emotionally draining and exhausting adoption or surrogacy process. Life has drastically changed and your mind is whirling. Feedings…sleeping…has baby gone through all the “colors of poop” stages?? With so much going on it’s no wonder we barely remember those first few months of their life. That’s why I feel it’s so important to capture their beautiful faces and tiny little features in those first few weeks. Obviously, you will have a million photos on your phone, who doesn’t? But will any of those be something you want to hang on your wall? Having a professional capture your baby’s first portraits not only allows you the opportunity to have gorgeous, wall worthy photos of your baby, but also allows YOU to be in the portraits! With so many options out there now it’s important you make sure to ask all the important questions and review all the important factors. Style – Firstly, do you love their work? That should be an easy one, but sometimes we get so caught up in budget that we don’t even make sure we love someone’s work. There’s really no point in spending any money if you end up not happy with the photos in the end. 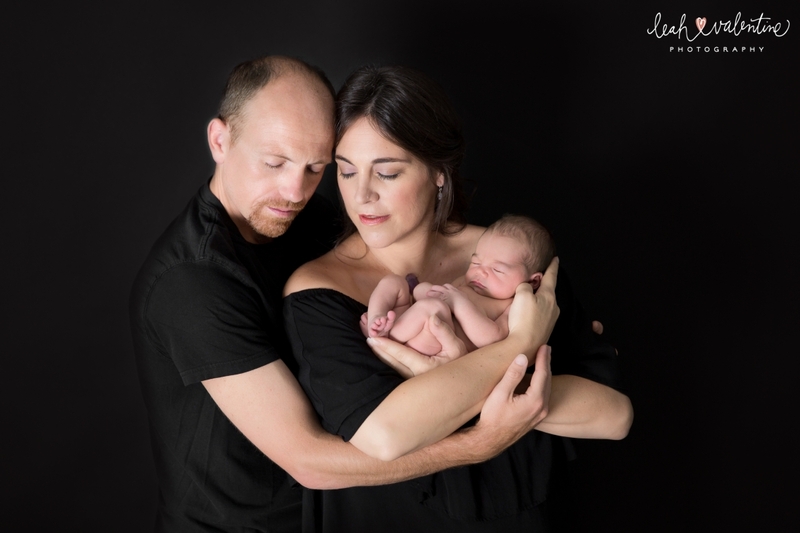 Experience – I feel like this is even more important than budget when it comes to newborn portraits as you are dealing with the health and safety of your tiniest family member. Ask how they work with baby and how many babies they have photographed. Budget – Obviously this is huge, it always is for everyone with every job. Keep in mind what you get for the cost. Is this a studio experience or will the photographer be coming into your home? Does the photographer offer a variety of props? 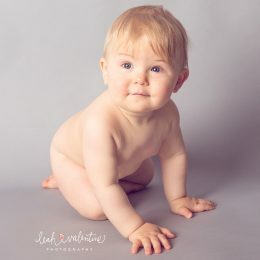 Will the final images be edited for all those things that come along with newborn babies (jaundice, flaky skin, red skin, etc.)? Add Ons – Do they work with other professionals to add something extra special to your shoot? Hair/makeup for mom? Flowers for baby girl and/or mom? Remember moms, you will likely only be one or two weeks out of the hospital. Will you really feel like running around doing your hair/makeup before you rush out the door to your shoot? You are a champion who just created/took on a miracle…it’s time to pamper yourself! Payment Options – Professional photography is an investment. Make sure they offer payment options that work for you (check, credit card, PayPal, gift certificates, etc.). 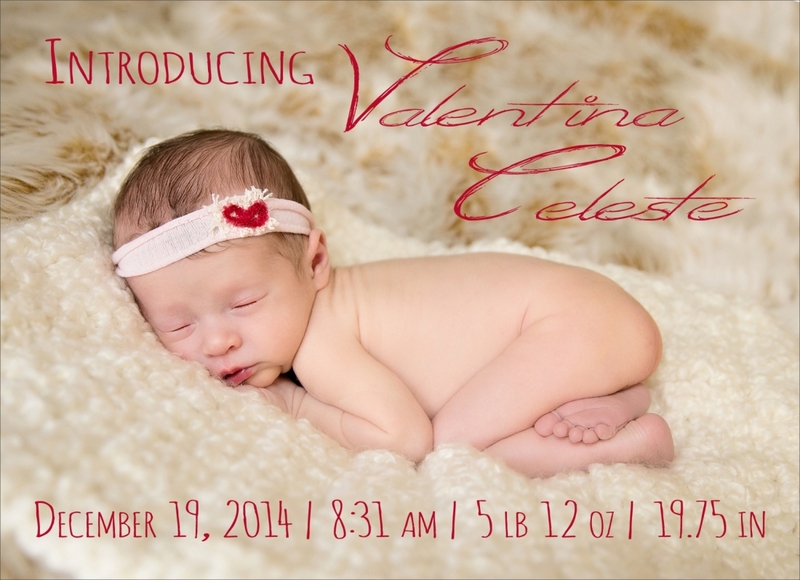 I LOVE photography gift certificates as a gift for any occasion but especially for newborns. All too often family and friends buy clothing and receiving blankets for new babies, as they really don’t have any other ideas. You then end up with way more than you can ever use. Why not ask for friends and family to help you towards a baby gift that will last through generations. I should end with a very real and raw story from my own life. 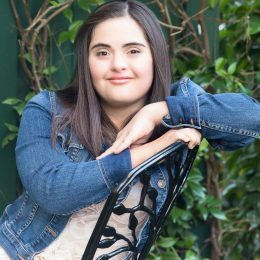 I’m a newborn photographer…I’ve been doing this for six years. So of course when I had my first baby I thought for sure I should take her newborn portraits. It only seemed natural. So I didn’t book any other photographers prior to her arrival. Fast forward to five days after she was born. I had been in the hospital for a week going through two long days of induction, labor and substantial blood lost postpartum. I’m now at home sitting on the couch with my leaky breasts trying to professionally wrap and pose my first-born. It’s hilarious now that I think about it, but it wasn’t at the time. You know how they tell you you will definitely have at least one giant melt down in those first weeks? Well that was it for me. It took my husband to basically say, “shut it down”. I ended up with only this one portrait and then called in a photographer friend to capture at least one family photo. Never again! Now that I’m expecting my second, I’m making sure research a photographer and book well in advance! 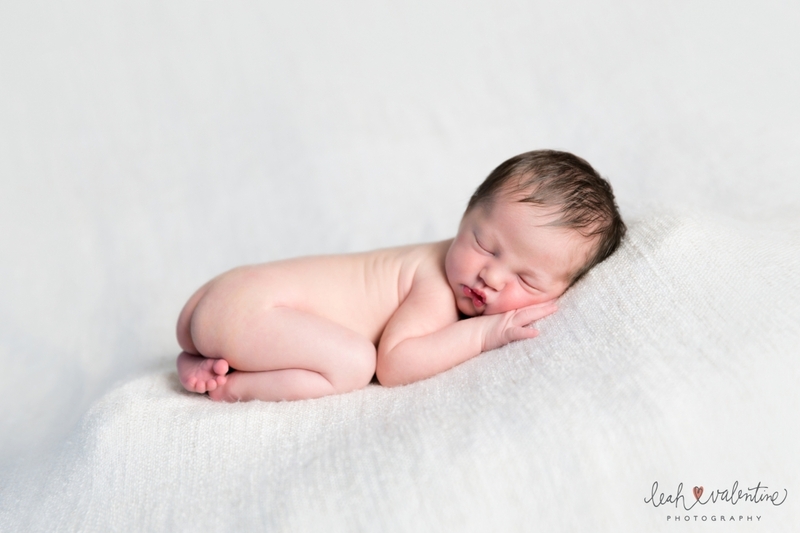 I hope these tips will help you consider hiring a professional to capture your newborn and help you sort through all the photographers out there to find the right one for you! 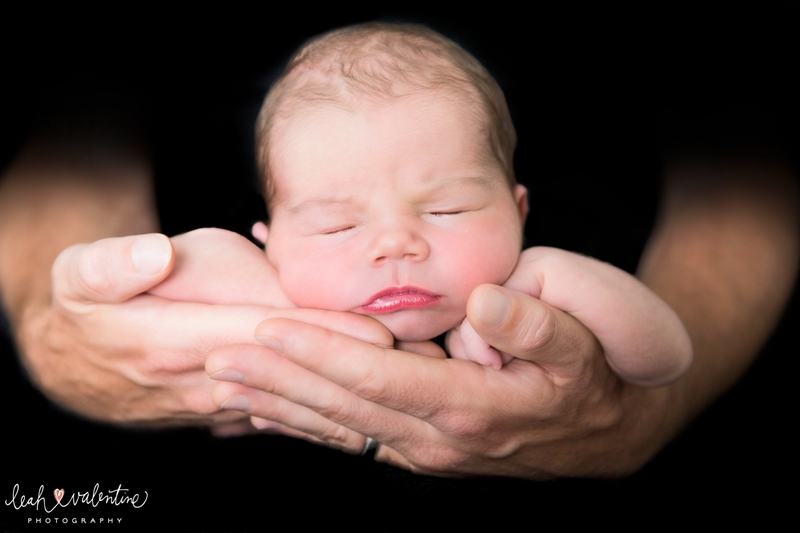 If you would like to learn more about newborn portraits with me, I’d love to talk with you! You can reach me at leah@leahvalentine.com and/or 805-364-0204. 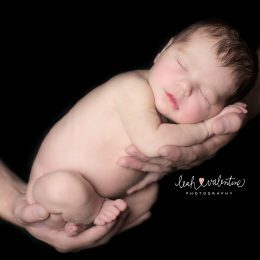 You can also read more about newborn portraits with me as well as watch a short video on the portrait experience on my newborn portrait portfolio page. 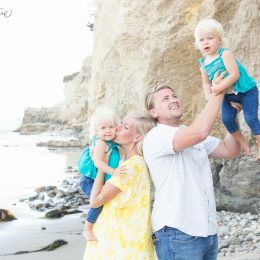 Enjoy these Santa Barbara newborn portraits provided by Leah Valentine Photography offering Santa Barbara newborn photography in the Santa Barbara area.